Here’s a cool gadget for all those James Bond types out there, The EyeClops Night Vision Goggles. 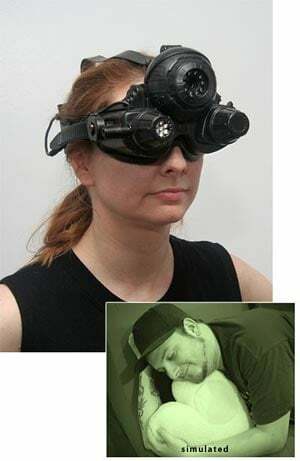 Now when you are on your secret night time spy mission you will be able to see what you are doing with these cool night vision goggles. Surveillance Mode – goggles operate at full power and emit a barely visible ring of red light to let you see up to 50 feet away. The EyeClops Night Vision Googles are available to buy online for $89.99 from Think Geek .